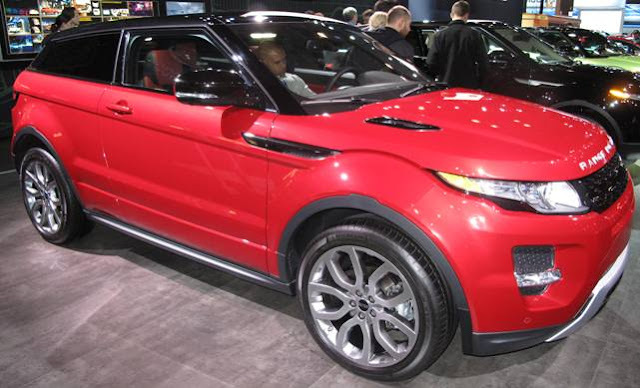 The all-new 2012 Range Rover Evoque will have a starting price of $43,995 for the five-door (pictured above) and $44,995 for the coupe (pictured below) including destination and delivery charges. The Range Rover Evoque achieves 28 MPG highway and 19 MPG city based on EPA estimates. The Evoque comes standard as an all-wheel drive in 3 styles: Pure - the purest expression of the LRX concept car; Prestige - the ultimate in Range Rover luxury; and, Dynamic - a sports-orientated take on the Range Rover Evoque. The Evoque is powered by an all-new 240 horsepower 2.0-liter engine mated to a six-speed automatic transmission that features Drive Select, a rotary gearshift, which rises up to ‘handshake’ the driver when the engine is switched on. ‘Rally-style’ Paddle Shift controls on the steering wheel allow you to change gear manually, when you want to. This vehicle will be sold in 160 countries worldwide with North American deliveries beginning in Fall 2011. 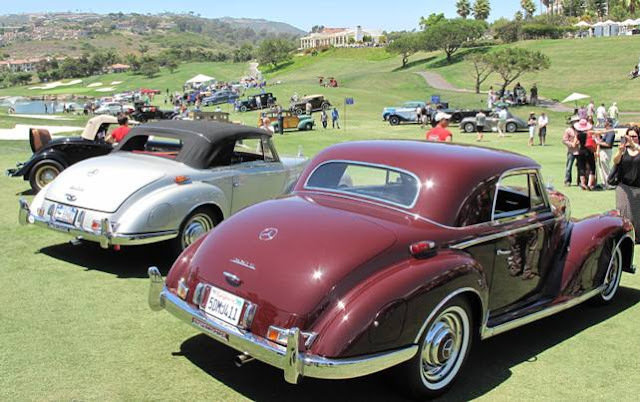 It was the 29th Annual Dana Point Concours d'Elegance on the first three holes of the Monarch Beach Golf Course in Southern California this past weekend but what was almost as impressive as the vintage Packards, Jaguar XKEs, Ford Thunderbirds, MGs, Triumps, Mercedes, Cadillacs, etc. was the valet parking area at entrance of the host St. Regis Hotel. 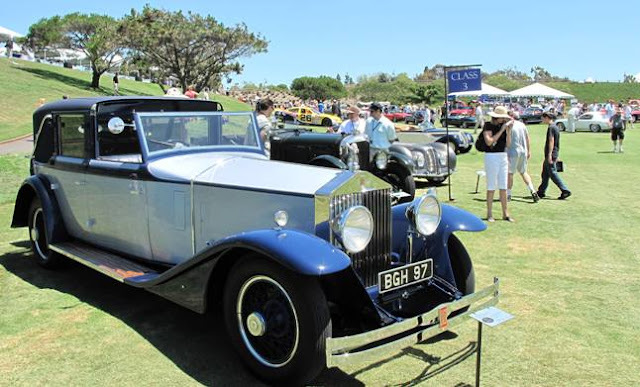 Valets were tightly parking current model $300,000+ Bentleys, Ferraris and Rolls Royces driven by the attendees. Nowhere near the size of the August Pebble Beach event but quite a show - all round - in a perfect beach setting with clear and not foggy skies. 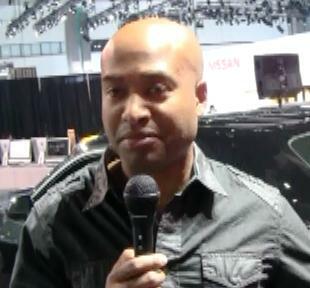 Dave Kuntz of ABC provided commentary of the cars being driven through the show area. Put it on your calendar for next year! Then hit the beach. Here are the JDPA 2011 IQS (Initial Quality Study) Results from a mail out survey of 228 questions in 8 categories that drew 73,000 customer responses for vehicles representing 32 brands in service for 3 months in the Nov. 2010 to Feb. 2011 time frame. Overall initial quality improves to an average of 107 problems per 100 vehicles (PP100) in 2011 from 109 PP100 in 2010. However, the initial quality of launch models—those that are all-new or have had major redesigns—worsens by 10 percent to an average of 122 PP100 in 2011 from 111 PP100 in 2010. Conversely, carryover models—those that have had no significant redesign in the past year—have better initial quality than ever before. Owners of these vehicles report an average of just 103 PP100 in 2011, compared with 108 PP100 in 2010. Lower PP100 scores indicate a lower rate of problem incidences and therefore higher initial quality. 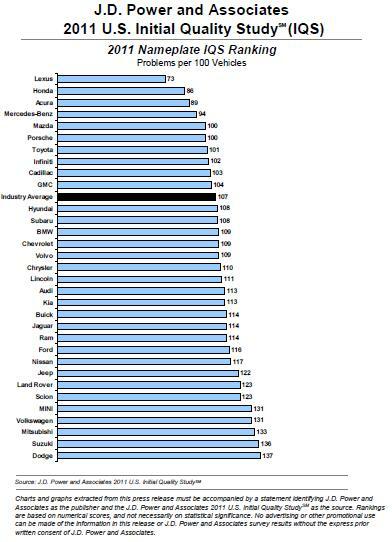 Ford tumbles from 5th to 23rd, Toyota bounces back from 21st to 7th, Land Rover cuts problems per 100 (pp/100) by an industry-best 47, next most-improved Jaguar & Toyota by 16pp/100, industry average flat. Most improved by ranking: GMC to #10 from #25 (15 places) and Mazda to #5 from #18 (13 places). 32. Dodge 137 was 130pp/100 & #28tie last year but many older vehicles dragged average down. Durango was best launch vehicle ever and Challenger did well. Note: 2010 #17 ranked Mercury brand is gone. Over the past three years, Consumer Reports has recommended only one Chrysler-built model, the DodgeRam 1500 pickup but that is changing since all the model redesigns and new launches over the past two years. Consumer Reports found that Chrysler’s vehicles are getting better, but their level of improvement varies considerably. They tested eight Chrysler models for their current issue: Chrysler 200, Dodge Avenger, and Dodge Charger sedans; the Chrysler Town & Country minivan; and Dodge Durango, Dodge Journey, Jeep Compass, and Jeep Patriot SUVs. The Durango (pictured above) and Charger, which received significant redesigns, have improved the most. Consumer Reports tested two all-wheel-drive versions of the large Durango, one with a V6 and the other with a V8. Their overall test scores—65 and 66, respectively—are dramatically better than the class-low 45 of the previous Durango V8. Their scores are comparable with that of the redesigned 2011 Ford Explorer (65), although they are well below rivals like the Toyota Highlander and Chevrolet Traverse. The V6-powered Charger Rallye (pictured above) tested improved to 71, compared with the previous Charger V6’s dismal 58. It now scores close to the Ford Taurus and Buick LaCrosse. The freshened Town & Country, which is a virtual twin of the Dodge Grand Caravan, is also considerably improved, although its 17-mpg overall fuel economy remains the lowest of all minivans we’ve recently tested. Although they performed well enough, none of those three are recommended because they are too new for Consumer Reports to have reliability information. They were not impressed with the 200, Avenger, Compass, Journey, or Patriot. Despite some improvements, they’re still mediocre overall, scoring at or near the bottom of their respective categories and too low to be recommended. Good news on improvement for a company that was in bankruptcy two years ago. 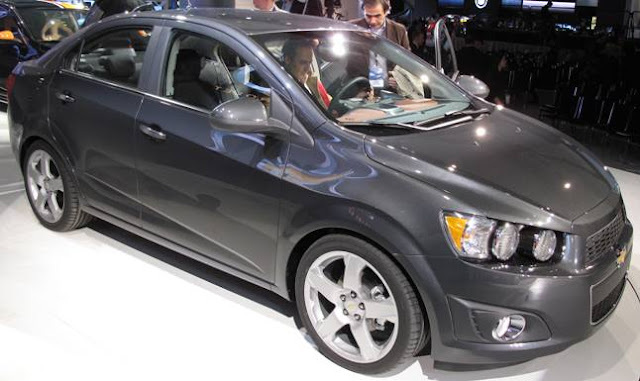 The all-new sub-compact 2012 Chevrolet Sonic will have a starting suggested retail price of $14,495 including destination but excluding tax, title, license and dealer fees for the LS sedan model with a 135 horsepower 1.8L Ecotec engine mated to a five-speed manual transmission. The Sonic is offered in a four-door sedan and a five-door hatchback and in LS, LT and LTZ trim levels. The 2012 Sonic LS hatchback will cost $15,395 and, like the LS sedan, will have 15-inch alloy wheels, 10 air bags, StabiliTrak electronic stability control with rollover sensing, traction control, anti-lock brakes, collapsible pedal system and power rear-door child safety locks, air conditioning, power door locks with remote keyless entry and tilt/telescoping steering wheel. The 2012 Sonic LT sedan starts at $15,695 sedan and hatchback at $16,495 with added features including a six-speaker premium sound system with CD player, XM Radio with three-month trial subscription, power windows with driver's express up/down and power heated side mirrors. The 2012 Sonic LTZ sedan starts at $17,295 and the hatchback at $17,995 hatchback and includes a connectivity package with a USB port, Bluetooth for select phones and music, steering-wheel-mounted audio controls, heated front seats, cruise control, fog lamps and 17-inch alloy wheels. Major available upgrades on Sonic include a six-speed automatic transmission (with 1.8L engine) for $1,070 and a 1.4L Turbo with six-speed manual transmission (available on LT and LTZ) for $700. The Sonic is expected to deliver 40 mpg highway with its 138 horsepower 1.4L Turbo engine mated to six-speed manual transmission. Chevy expects the Sonic to boom when comparing its features to the 2011 Fiesta S Sedan and 2011 Honda Fit which have less horsepower, torque and standard features with a smaller trunk, fewer airbags than the Sonic. The Sonic replaces the Aveo which has had an 18 percent increase in sales this year through the end of May so, if gas prices stay high, the Sonic could do very well following its very successful larger new sibling, the Cruze, when it hits the streets this Fall. Jim O’Donnell, President and CEO of BMW North America, covered a wide variety of topics in a speech to Los Angeles auto journalists this week, including improving car sales to the BMW i3 and i8 electric vehicles. O’Donnell, speaking to a California crowd, said that the Golden State is BMW’s sixth largest market globally, selling more cars in California than any other state where it recently opened its 50th U.S. dealership in Murietta. O’Donnell predicted 12.5 million total U.S. sales for 2011 dependent on three main factors: vehicle availability, gas prices and the economy. He boasted that BMW and MINI sales are 116,000 through May, up 19 percent this year over last. The Spartanburg, South Carolina, factory produces all the X-models for the world with about 70 percent shipped out of the U.S. and many are configured by the customer and sold before they leave the factory: 80 percent of X3s and 65 percent of X5 and X6 models fall into that category and customers can watch videos of their vehicle being built. According to O’Donnell, a customer will watch their video 5 times and then send it to social media for friends to watch for another 15 viewings. O’Donnell says BMW and Mercedes are in a close sales race year-to-date so new model introductions are vital with BMW having the 6 Series convertible (shown above) and 6 Series sedan coming along with the re-introduction of 528xi all-wheel drive sedan which has been gone for a year and is in a niche that the competition has been capitalizing on. O’Donnell spent a considerable time discussing environmental and social responsibility which included project I to produce the i3 in 2013 and the carbon fiber i8 sportscar, the MINI E and the Active E that was driven in U.S. 7 cities, 4 in California. The biggest message O’Donnell delivered was BMW’s “Don’t Text and Drive” campaign and a sobering commercial that will begin airing during this week’s U.S. Open golf tournament and be shown nationwide by the end of the year. 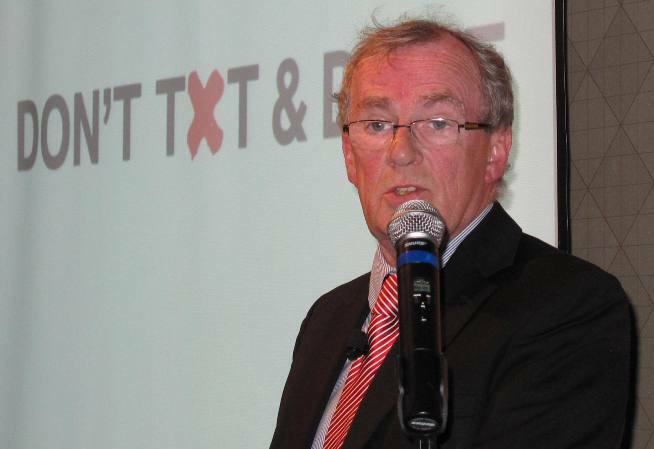 O’Donnell quoted stats from The Wireless Association that one trillion texts were sent in the first half of 2010. In a heated discussion with dealers is the plan for BMW to invest in “build-to-order” and have vehicles stored in a centralized lot rather than on the dealer premises. With U.S. dealers having invested $2.5 billion in their facilities, it may be a hard sell, especially with customers wanting their car now. Is seeing rows of hundreds of cars on a dealer lot a bad thing? O’Donnell’s presentation, with his Scottish accent,was humorous and informative with a message that BMW, known for its dominant industry-leading engineering innovation, is paying attention to their customers' wishes. Automotive telematics is dominating many hi-tech industry events from the enormous annual Consumer Electronics Show in Las Vegas to this week's 11th annual Telematics Detroit 2011 Conference & Exhibition where manufacturers received kudos for their electronic advancements. With a heavy push to turn vehicles into moving state-of-the-art communication centers for multi-tasking drivers, the introduction of Hyundai Blue Link™ this week comes as no surprise as do their impressive wins of two Telematics Update Awards - one for Best Cloud Based In-Car Application Award which it shared with joint winner Entune from Toyota. Hyundai also was a joint winner of the 2010/11 Industry Newcomer Award with Nissan's LEAF CARWINGS. In addition to Hyundai, Toyota and Nissan other award winners were WirelessCar for Best Telematics Service Provider, OnStar for Best Telematics Safety Technology, Hughes Telematics for Best Aftermarket Device or Solution, Airbiquity for Best Telematics Service or Solution for Commercial Vehicle, INRIX for Best Telematics Content Aggregator, TeleNav for Best Navigation Solution or Product, Audi Connect and BMW ConnectedDrive were joint winners for Global OEM Infotainment Solution and Kamyar Moinzadeh, President & CEO, Airbiquity and Peter Steiner, Head of Infotainment, Audi AG shared the Telematics Leadership Award. Hyundai Blue Link™ is an all-new telematics platform that will offer more than 30 connectivity features on future Hyundai models, starting with the 2012 Sonata this summer and the Veloster 3-door coupe this Fall. Hyundai Blue Link™ will be available in three packages: Assurance at $79 per year, Essentials (includes Assurance) at $179 per year and Guidance (includes Essentials) at $279 per year with discounts when longer service agreements are purchased. As part of the Blue Link™ launch, Hyundai will provide Blue Link features free of charge for a complimentary period that includes 6 months of the core safety services from "Assurance", three months of the convenience features from "Essentials" and three months of the point of interest search and navigation tools from "Guidance." If the customer elects for automatic renewal within 30 days of purchase, the complimentary period will be doubled for each of the packages; one year of "Assurance" and 6 months of both "Essentials and Guidance." After the introductory period, owners of Blue Link™-equipped vehicles can choose to extend their services. The latest "Big Brother" features help the owner track their vehicle's location and speed when their kids, a valet, a thief or anyone takes their car for a spin. It also sends for help in the event of a crash and provides directions, restaurant recommendations and maintenance reminders. Avoiding tickets with hands-free voice text messaging, driving more efficiency thanks to Eco-Coach and catching thieves with the remote ability to gradually reduce the engine power could come in handy, too. Service Link schedules service at a Hyundai dealer and sends the dealer a recorded message of requested services in advance of the visit. With all these telematics, one might forget that engine, chassis, brakes and even seats are really still the essential vital parts of a vehicle. All this complex vehicle connectivity allows people to be more productive and more protected while simply getting from A to B.
Mercedes-Benz USA will debut the all-new, all-wheel-drive third-generation 2012 M-Class SUV in September. 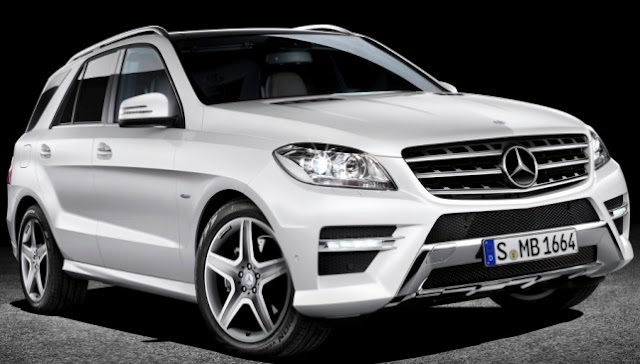 The ML350 BlueTEC is powered by a 50-state 240 horsepower V6 turbodiesel and the gasoline-powered ML350 4MATIC features a new direct-injection 302 horsepower 3.5-liter V6 engine. Both are mated to a new sevenspeed automatic transmission with a more fuel-efficient torque converter, friction-optimized bearings and a transmission oil thermal management system plus low-friction axle drives and electromechanical steering which all contribute to reducing fuel consumption. The 2012 M-Class has LED daytime running lights and taillights, chrome roof rails and optional panorama sunroof. Interior features include a standard 7-inch display screen, electromechanical steering, optional climatized cupholders, PARKTRONIC with Active Parking Assist, multicolor ambient lighting and new entertainment and telematics systems. Added safety systems include the innovative ATTENTION ASSIST drowsiness detection system as standard equipment and available Active Lane Keeping Assist and Active Blind Spot Assist. Ralph Gilles (left) is appointed President and CEO of the newly formed Street and Racing Technology (SRT) Brand, Chrysler Group's cross-brand performance unit, and Chrysler's Motorsports activities. He continues with design responsibility for all exterior and interior design activities for all Dodge, Ram, Chrysler and Jeep Brand vehicles. Fred Diaz is appointed President and CEO of Chrysler de Mexico, which includes responsibility for Latin America. Diaz continues in his current role as the President and CEO of the Ram Truck Brand. Reid Bigland is named President and CEO of the Dodge Car Brand and head of U.S. Sales. Bigland continues as President and CEO of Chrysler Canada. In addition, the Company appointed David Buckingham to the newly created role of Chief Operating Officer of Chrysler Canada, reporting to Bigland. 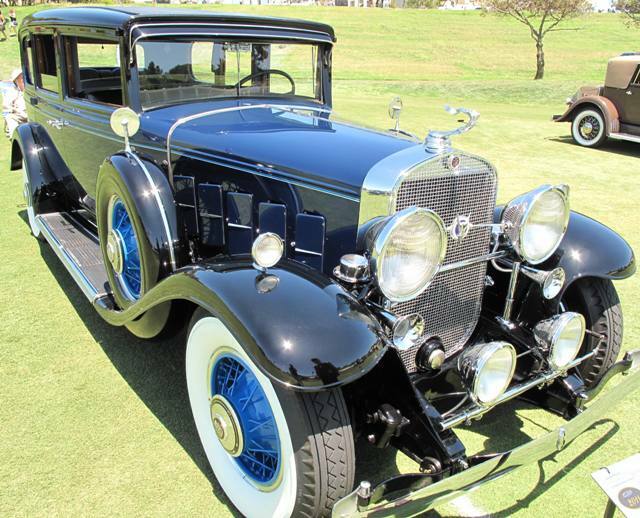 Previously, Buckingham was Vice President - Sales, Chrysler Canada. Joe ChamaSrour is reassigned to International Operations reporting to Mike Manley, President and CEO of the Jeep® Brand and head of International Operations, Chrysler Group. General Motors reported 221,192 total sales in May, down 1.2 percent on lower fleet volume. Retail sales were up 9 percent compared to May 2010. Year-to-date GM has sold 1,046,275, an 18.2 percent increase over 2010. Ford Motor Company's May, total sales were 192,102, equal to a year ago. Retail sales were up 5 percent, and fleet sales were down 8 percent. Year-to-date, total sales were 878,600, up 12 percent. Retail sales were up 14 percent, and fleet sales were up 8 percent. Chrysler reported U.S. sales of 115,363, a 10 percent increase compared with sales in May 2010 and the best May sales since 2008. The new 2012 Fiat 500 all significantly contributed to Chrysler Group’s 10 percent sales increase in May. Year-to-date Chrysler sales are 519,538, up 20 percent from 2010. Toyota Motor Sales, U.S.A., reported May sales results of 108,387, down 33.4 percent over the year-ago month. The Toyota Division posted May total sales of 96,082, down 31.6 percent from the year-ago month. The Lexus Division reported total sales of 12,305, down 44.6 percent compared to the same period last year. Year-to-date TMS sales are 701,851 down 0.6 percent from 2010. American Honda posted May sales of 90,773, a decrease of 16.1 percent based on the daily selling rate compared to May 2010 results. American Honda year-to-date sales of 523,550 represent an increase of 7.4 percent compared to last year. Honda Division sales were 81,773, a decrease of 16 percent versus May 2010. Acura total vehicle sales for May were 9,000, down 17.1 percent based on Daily Selling Rate. year to 6,389. For 2011, NNA sales have increased 15.2 percent to 433,032. Hyundai Motor America announced all-time record May sales of 59,214, up 21 percent compared with the same record-breaking period last year. For the year, total sales are 263,588, up 29 percent, with retail volume rising 40 percent. 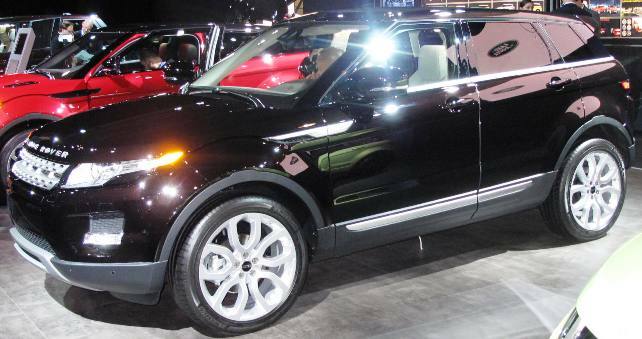 Kia Motors America's had its best-ever monthly sales of 48,212, a 53.4-percent increase from May 2010. KMA's year-to-date sales are up 44.8 percent over 2010, while the brand's U.S. market share climbed to an all-time high on the strength of May sales. Volkswagen of America reported sales of 30,100 in May, a 27.9 percent increase over prior year sales and the company's best sales month since August 2003. Year-to-date sales are up 19.7 percent. Separately, Audi reported its fifth-consecutive record-setting month for 2011 with the best May U.S. sales in company history. Audi sold 10,457 vehicles, an increase of 13.6%, marking the third-best month in Audi of America history. The BMW Group in the U.S. (BMW and MINI combined) reported May sales of 26,452, an increase of 19.7 percent from the same month a year ago. Year-to-date, BMW Group sales of 116,656 is up 18.7% in the first five months of 2011 compared to the same period in 2010. Daimler reported U.S. sales of 20,798 Mercedes-Benz and smart vehicles, an improvement of 4.7 Percent compared to May 2010. Mercedes-Benz USA reported May sales of 20,306 vehicles, a 5.9 percent improvement over May 2010, and the best May on record since May 2008. On a year-to-date basis, the 95,458 vehicles sold represent an 8.5 percent increase. Subaru of America May sales were 20,036, a 15.3 percent drop from May 2010. Year-to-date sales increase sales of 112,255 is a 7.6 percent increase. Jaguar Land Rover May sales were 4,162, a gain of 13 percent over May 2010. Jaguar accounted for 1,271 of the May total, a 32 percent rise while Land Rover sales were 2,891, up 7 percent from 2010. Year-to-date JLR sales are 19,161, up 17 percent over last year with Jaguar making up 5,021 and Land Rover 14,140 of the year so far. Mazda North American Operations reported May sales of 17,875, down 20.9 percent versus May of 2010. Year-to-date sales stand at 103,072, and are outpacing last year’s sales at this time by 5.7 percent. Mitsubishi Motors North America reported May sales of 7,568, an increase of 59.8 percent compared to May 2010. Year-to date sales are up 60.7 percent. Volvo North America sold 7,359 vehicles in May, up 58 percent from a year ago and year-to-date has sold 29,203, a 25.8 percent increase. Porsche Cars North America May sales were 2,817, an increase of 50 percent compared to the same period last year, the German sports car maker's best May sales total in the United States since 2007. So far in 2011, Porsche sales are 12,996, a 47 percent increase. American Suzuki may sales were 2,290, up 20 percent from 2010. Year-to-date sales are 11,124, a gain of 17 percent from the first 5 months of 2010.